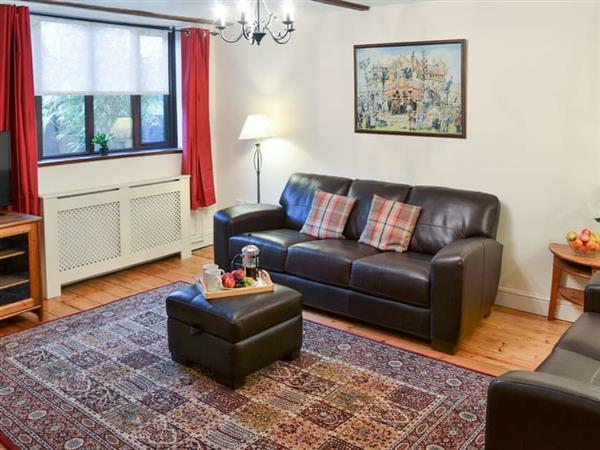 Lobelia Cottage in Stoke Holy Cross, near Norwich, Norfolk sleeps 5 people. Lobelia Cottage near Norwich is a thatched, semi-detached cottage located in the thriving hamlet of Stoke Holy Cross. This wonderful cottage makes a perfect base to venture out and explore both Norfolk and Suffolk with attractions for all ages nearby. After a fun day’s adventure, return home for cosy nights in and nestle by the wood burner. Enjoy some home cooking from the well equipped kitchen, or should you prefer, within strolling distance are several good eating establishments. A 30-minute drive takes you to the famous Norfolk Broads and Norfolk’s coastline with excellent sandy beaches. Wroxham, known as the ’Capital of The Broads’, is just 13 miles away. There are riverside cafés and inns, lots of boating activity with daily boat hire and river trips available, enabling you to explore The Broads and see all the neighbouring pretty villages and abundance of wildlife. The historic city of Norwich is 5 miles away with its famous cathedral, castle museum, theatre, two excellent shopping malls, cobbled streets, timber-framed buildings and an array of cafés, restaurants and bars. Lovely unspoilt beaches along the north and east Norfolk coast include Winterton-on-Sea, 23 miles, Hemsby, 22 miles, with wide sandy beach backed by dunes, and for more traditional seaside fun there is Great Yarmouth, 22 miles, with amenities for all ages. Suffolk’s famous Southwold and Aldeburgh are 39 miles away. Nearby are Strumpshaw and Surlingham RSPB Nature Reserve Fens, a delight for walkers and nature lovers, Fairhaven Woodland and Water Garden, a number of National Trust properties and three heritage railways - North Norfolk Railway, Mid-Norfolk Railway and the Bure Valley Railway. The popular market towns of Loddon, Beccles and Bungay are well worth seeing, and there is good walking, birdwatching and cycling locally. Coarse fishing is available just 1 mile from the property (in season, licence required). The beach is 22 miles from Lobelia Cottage near Norwich. With the nearest shops, pub and restaurants all 1 mile from Lobelia Cottage. Kitchen: With range with electric oven and gas hob, microwave, fridge/freezer, washing machine and tiled floor. Gas central heating, gas, electricity, bed linen, towels and Wi-Fi included. Initial logs for wood burner included. Welcome pack. Enclosed lawned garden with patio, terrace and garden furniture. Private parking for 1 car. No smoking. Please note: No children under 5 years old. Fireworks and barbecues are not allowed in the garden of this property due to insurance regulations of a thatched property. Holidays at Lobelia Cottage run from Friday to Friday. Pets allowed at Lobelia Cottage. For a better idea of where Lobelia Cottage is, you can see Lobelia Cottage on the map below. 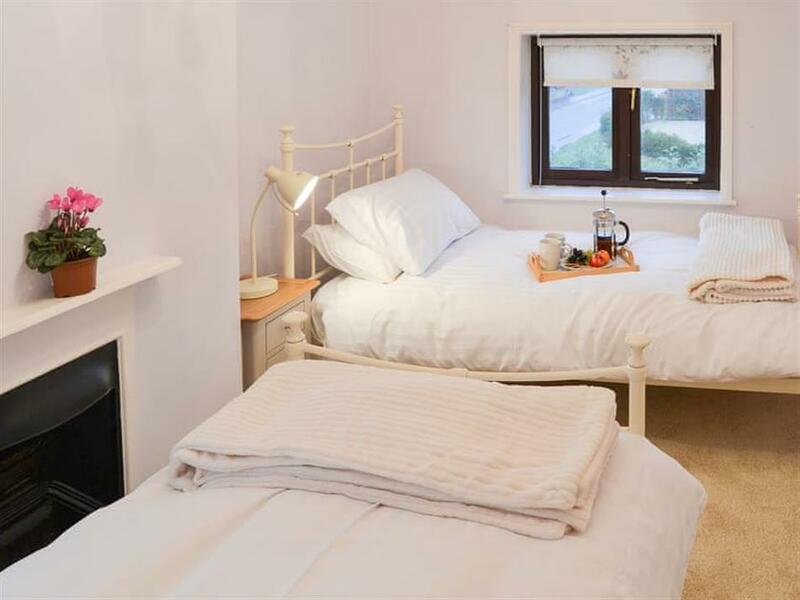 Lobelia Cottage is in Norfolk; should you be on the lookout for a special offer, you can find all the special offers in Norfolk. It's always worth checking to see what is on offer at the moment. Do you want to holiday near Lobelia Cottage (UK10661), you can see other cottages within 25 miles of Lobelia Cottage; have a look to find your perfect holiday location.